Korea gets NFC Forum test lab: Korea’s Telecommunications Technology Association (TTA) has become an NFC Forum Authorized Test Laboratory. 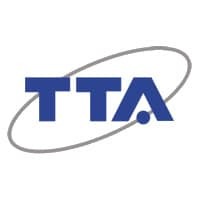 The designation allows TTA, Korea’s national IT standards organisation, to provide a complete testing service for handset manufacturers looking to demonstrate their products’ compliance with NFC Forum technical specifications. Verayo hires CTO from Apple: Secure NFC tag developer Verayo has named Dr David M’Raihi as its new CTO. Prior to joining Verayo, Dr M’Raihi was analyst and architect of digital content distribution at Apple, focusing on secure implementations across Apple’s software and hardware platforms. US Bank issues contactless EMV cards: US Bank has begun issuing a dual interface credit card, the FlexPerks Travel Rewards Visa credit card, incorporating both Visa payWave contactless capability and an EMV payments chip. SPVA releases secure payment device standards: The Secure POS Vendor Alliance (SPVA), a non-profit organisation founded by Hypercom, Ingenico and VeriFone, has announced the release of standards for the post-manufacturing stage of a secure payment device. The guidelines cover secure storage and transport, transfer and accountability, authentication, key management, incident response, outsourcing and auditing. Majority do not trust mobile phone providers: 55% of consumers in the US and the UK do not trust their mobile provider and 60% do not trust their mobile providers’ customer communications, research conducted by the ESCP Europe Business School for Pitney Bowes Business Insight has found. The research also found only 31% of mobile customers feel that, if they shared their problems with a mobile service provider, they would receive a caring response. Washington Metro examines contactless payment options: Authorities at the Washington Metro are examining proposals from seven companies seeking to provide it with a new ticketing payments system based on contactless card technology, the Washington Post reports. 20m Visa contactless cards in UK: Visa Europe says there will be 20m contactless cards in circulation in the UK by the end of 2011, up from 13m today. T-Mobile launches deals service: T-Mobile USA has launched a new Android app which brings together daily deals from a range of sources, based on a customer’s location. More For Me discounts and deals are generated from sites such as LivingSocial as well as exclusive offers from T-Mobile and its partners. Verizon and Payfone introduce mobile payment system: Verizon Wireless and Payfone are to introduce a new service that allows customers to make online purchases from their smartphones, tablets and PCs. Customers will be able to charge purchases to their monthly mobile phone bill or to a traditional bank card. Identive appoints NFC VP: NFC tag and solutions provider Identive has appointed David Holmes as its vice president of mobility and NFC solutions. Holmes was previously VP and general manager Americas for Identive’s SCM Microsystems business unit. Identive’s ACIG Technology subsidiary is the exclusive supplier of NFC stickers for the Austin, Texas roll-out of the Google Places local recommendation service.